This is a Roll Center and Ride Height Shim Kit for your 12th Scale. Designed to be used mostly with the CRC Front end, the hole spacing will still work as a ride height Shim for and old school front end and any of the old standard screw pattern ones as well. 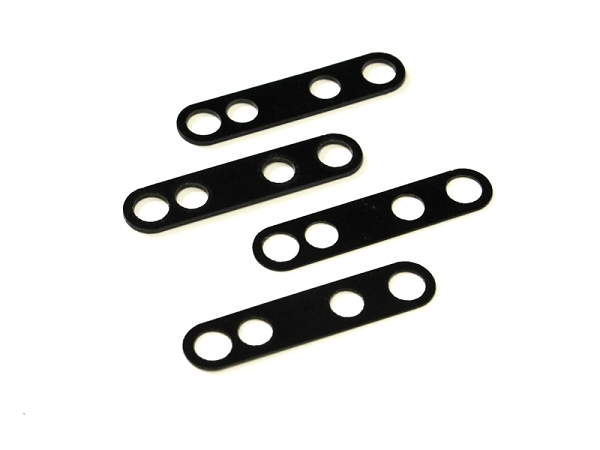 The shims are 0.5 and 1.0 mm and they are made from black G10. These shims can alsocbe used to fine tune the front roll center of your CRC Front end car.